Tim returns to his childhood home to bury his father and take over the family business, with his girlfriend Lucy. 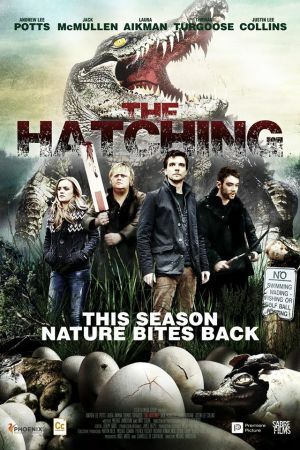 However, Tim carries an old burden; a friend of his was killed by a crocodile during a kids’ prank at a local zoo and when locals mysteriously start vanishing, Tim realizes the crocodile eggs he stole as a child have now hatched and are loose on the Somerset Levels. As people disappear and gruesome body parts mount, the horrific truth emerges and for Tim it’s a race against time, to put right what went so horribly wrong.